Mousse is one of the most popular desserts in France and is also favorited in many countries. So far, there has not been much documentation of the true origin of mousse, but according to many food historians, it was born in Paris around the 18th century. Mousse in French means foam, because of its soft and smooth structure due to the large volume of foam formed. Mousse is usually made in two ways – the salted and the sweet. Salty mousse is usually combined with goose liver, poultry meat, fish and some seafood, often served as appetizers. Sweet mousse consists of two parts: thin base layer (optional) and a top layer made out of egg whites or whipping cream, combined with other flavors such as chocolate or fresh fruit. The most prominent feature of mousse is that if it includes two parts, the cream will be more than the base layer, and if you only include the cream without the bottom one, the mousse is usually kept in a cup and can be used by spoon to enjoy. 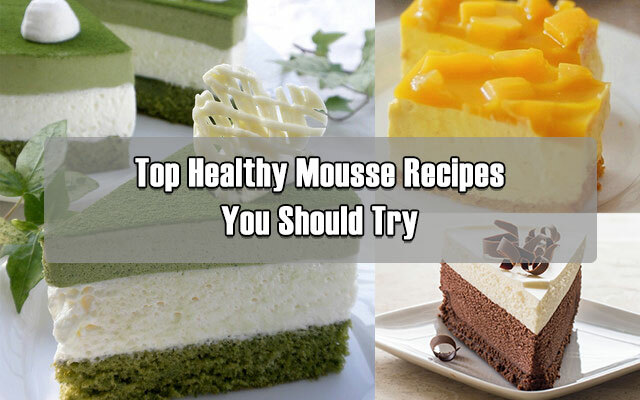 Now, I know that many of us keep thinking that mousse is something very difficult to make. But truth to say, it just comes in a bit complicated process to carry out, including making the based and the top layer. Mostly, all steps are quite easy to follow. Below are top three mousse recipes which are not only delicious to try, but also not difficult at all to carry out. Trust me! First up is chocolate mousse! In order to make the uniquely soft and moist base layer, my tip is choosing the Tegral Satin Moist Chocolate Powder from the Puratos Grand-Place Indochina (PGPI) to replace the traditional flour. The reason I believe in this product is not only their 30-year seniority in flour, but importantly, the high-quality texture that allows you to freely create thousands of recipes from the usual to the most sophisticated desserts. Besides, I understand that many of us, including me, don’t always have time to mix flour ourselves for yummy mousses in particular saying, but all cakes in generally. 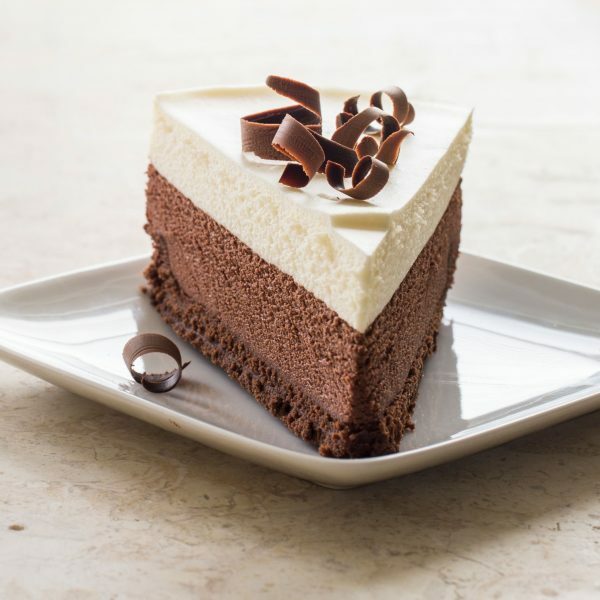 In terms of the top layer, other than the basic ingredients for making cream, including gelatin and cream milk (or egg whites), pure chocolate is an indispensable ingredient to add flavor to the mousse. Take notice that such amount can be made into 6 mousses, 1,000 grams per each. – Put the mixture into the egg whisk and continue to whisk until you get a soft mousse structure at 35 degrees C (pate a bombe). – Gelatin after soaked in cold water, transfer them into the bowl and mix up. – Temper chocolate and decorate the cake. Use the 16cm round cake mold with removable bottom. If not, you can use an ordinary mold bottom with a food wrapper for easy removal. The cake is divided into 3 parts: the base (1), the avocado cream (2) and other three layers (3). Here, I will give you step-by-step instruction to make each part. Whisk the mixture of eggs and sugar in a mixing bowl until soft peak form, creating a creamy smooth texture. Then, gradually mix with flour and green tea. Bake it for 15 minutes at 150 degrees Celcius. 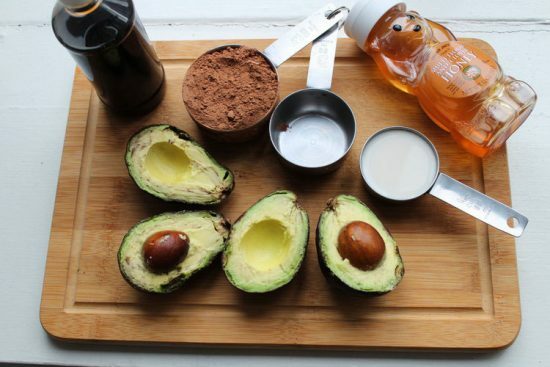 Grind avocado, sugar and milk in a blender until creamy soft and smooth texture. Whip 200ml of whipping cream. Put it in the fridge to cool down if not used immediately. Divide the whipping portion into 3 parts. Now, you need to dissolve gelatin by soaking it with 3g of water and then bain-marie it to dissolve. Mix the gelatin with the avocado mixture. Next, divide it into 3 parts. Now, it’s time to pour it layer to layer to get a nice ombre green color. Layer 1: Mix one portion of the avocado with 2 portions of whipping cream and pour into a mold. Place in the freezer in 30 minutes before pouring the next layer. Layer 2: Mix 2 portions of avocado with 1 portion of whipping cream and pour over the first layer, leave in the freezer again in 1 hour. Note: This way is just for aesthetics. So, if you do not have time, just mix the butter and whipping cream then pour it once. Mix all the ingredients and heat in a warm fire, avoid boiling it up. Now, let the dissolved mixture aside to cool down, then poured over the mousse. Put back in the freezer for a few hours. After that, just ready to serve! – Whisk eggs with white sugar for about 10 minutes until a smooth creamy mixture with light yellowish or ivory white color. – Mix Tapioca starch with wheat flour and salt. – Mix gently the flour mixture into egg mixture. – Then, pour it into a round mold, bake in 175 degrees C at 20 minutes, avoid overcooking as the cake will be dried and fat. – Remove the cake from the mold, set aside to cool down. – Cut the bottom of the cake into 1 – 1.5 cm thick slices. – Put all peeled mango into a blender, mix together with white sugar, honey and 20 ml of lemon juice (to create a natural acidity and also to avoid the color of the mango from being darkened). After that, filter the mixture through the sieve, extract about 20 ml to make the jelly on the cake later. – In terms of the fresh ice cream, place it in the freezer for about 5 minutes whisk it until soft peak form. – Mix yogurt with fresh cream and vanilla. Then, mix with fresh cream and mango. – Use a mold with removable bottom which has same size as the gateau cake. Cut a baking paper with the same or bigger height then the height of the mold. Next, lining it into the mold. – Put a slice of base layer into the bottom then pour the mousse mixture on there, spread evenly to the surface and store in the cooler for 1-2 hours. 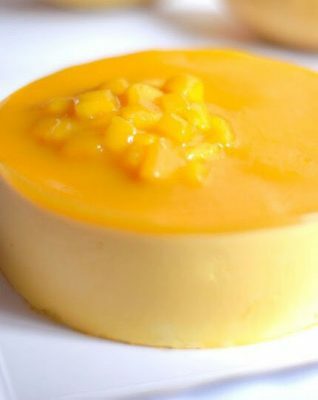 – Heat the dissolved gelatin with mango and sugar, stir to combine. Let aside to cool down. After 1-2 hours, take the mousse out of the fridge, top with the jelly mixture. – Put in refrigerator overnight to let it cool down. Serve with fresh cream, chocolate or fresh mango. When learning how to make mousse, gelatin is one of the most important ingredients for the cake. It needs to be coagulated moderately, not too hard, but not too soft. Before making mousse, it’s essential to soak gelatin in cold water for 10-15 minutes to let it expand evenly before using heat to melt the gelatin. Importantly, you should NOT put gelatin directly into hot water because it will lose all effects, even ruin your mousse. If paying close attention, you will see that it’s advised to use fresh whipping cream instead of whipped cream. Why? As compared to Whipped Cream, the fresh whipping cream comes in smoother texture and softer peak form when whisking. Besides, bear in mind to avoid whipping it too long as the texture will not as smooth and soft as wanted. For newbies, I sincerely advise you to use whipping machine. You should start with high speed, then when the texture is thickened moderately, change into the low speed. One tip to know whether your whipping cream is okay or not is wiping your finger to take a small amount of cream. If it’s sticky with nice soft and smooth texture, that’s okay. To get the best mousse recipes, other than two basic ingredients: gelatin and fresh cream, depending on your taste, the optional ingredients might change flexibly. However, in general, just opt for the fresh ones. The sizes are based on your preference, but kindly choose the crystal-clear mold to make the mousse look more attractive. Or, you can use small cups instead. If reading many blogs of professional chefs about making mousse, as always, they will advise you to mix flour on your own. However, as most of us are just amateurs or newbies and want to soup up our daily meals, using the ready flour is not a bad idea at all. These recipes above are not only tasty, but also healthy and don’t fret, they are okay for those who want to lose weight, just eat a smaller amount and if possible, enjoy the dish during the day so that your body can have time to burn all calories. What is the Difference Between French and American Diets?